The Melbourne Vixens have confirmed that goaler Mwai Kumwenda will remain in the 2019 squad as she continues to recover from her ACL injury she suffered in Round 13. 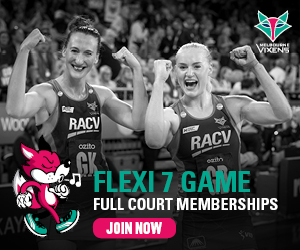 Mwai has since undergone surgery and commenced rehabilitation under the guidance of Melbourne Vixens medical and strength and conditioning staff. Mwai said she was thankful for the support that the Vixens program has given her. “In one of the toughest times of my career, I am so grateful to be in such good hands in the Vixens environment, with some of the best support in the world,” said Kumwenda. “To have these resources available to me throughout my entire rehab will help ensure I am given the best chance to fully recover. Head coach Simone McKinnis is pleased with the way Mwai is progressing in the early stages of her rehab. “Over the last few weeks, MJ has really put everything into her recovery and so far, it’s going well,” said McKinnis. Mwai will remain in Melbourne in the off-season as she continues rehab on her knee.